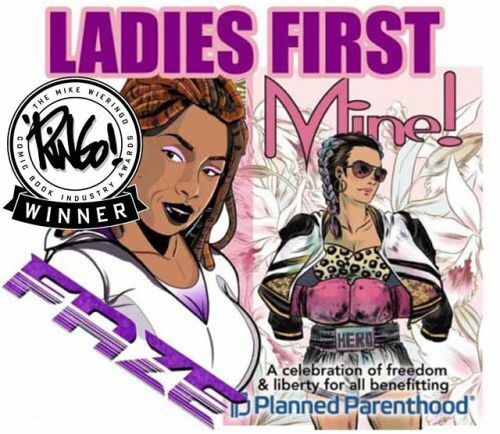 Quinn and Hannibal contributed a Faze story (that directly follows the events of Project Wildfire: Street Justice) to the Comicmix anthology called Mine: A Celebration of Liberty and Freedom for All. The anthology was created to benefit Planned Parenthood. Comic book professionals voted for the 2018 Ringo Awards at New York Comic-Con and named Mine! Best Anthology.